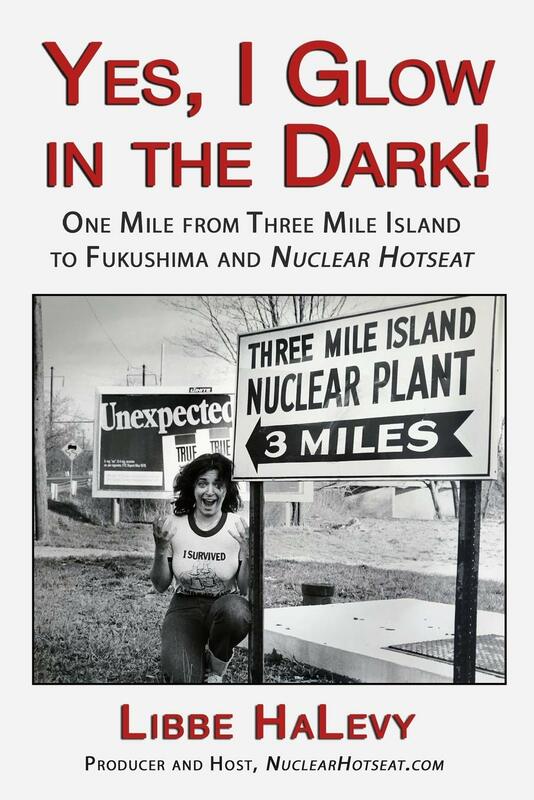 From 1950s Duck-and-Cover nuclear bomb exercises and Disney’s Our Friend, the Atom, through decades of nuclear PTSD to her current international activism, HaLevy’s book recounts her experience of Three Mile Island (TMI) and how she learned to fight back against nuclear perpetrators with facts, sarcasm…and a podcast. A leaking, out-of-control nuclear reactor only one mile away. What would you do? What would it do to you? Libbe HaLevy was visiting friends in Pennsylvania in 1979 and suddenly found herself stranded in a house one mile from the nuclear meltdown at Three Mile Island – an event which changed her life. As producer and host of Nuclear Hotseat – a weekly podcast/broadcast on nuclear issues “from a different perspective” that’s now in its eighth year – she has covered nuclear transgressions around the world… and in our own back yard. In Yes, I Glow in the Dark! HaLevy – who is surprisingly funny – recreates her terrifying experience and its resulting impact, as well as explores “Nuclear Spin-Speak” – languaging tricks used by the nuclear industry to hide their transgressions against people and the environment in plain sight. She also provides an update on San Onofre – the true scope of the August 3, 2018 near-miss of what could have been a catastrophic accident, the long-term dangers of storing highly radioactive waste on a beach, and the latest on what is known about that week’s examination of the facility by the Nuclear Regulatory Commission. HaLevy also speaks on local nuclear issues, including the 1959 Santa Susana Field Laboratory meltdown and radiation release in Simi Valley, and the radioactive radon released at Porter Ranch during the massive 2016 methane/benzene spill.